Duties as a Fiduciary for Estate Planning - Keystone Elder Law P.C. You may have heard the term “fiduciary” when reading about estate planning. Appointing another as fiduciary in your estate planning documents is a way to plan for future incapacity. However, you may not be aware of what it means to be a fiduciary and the high standards to which a fiduciary is held. First, a fiduciary is a person or entity which holds a legal or ethical relationship of trust with one or more other parties. 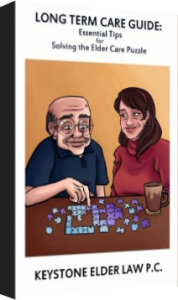 Typically, the fiduciary holds cash, assets, or title to property for the benefit of another individual (often called the Principal or the Beneficiary). Examples of fiduciaries in the estate planning context are trustees of a trust, guardians of a person or estate, personal representatives of an estate, or power of attorney agents. The person or entity appointed fiduciary is held to the highest standard of care and is subject to certain duties. This article attempts to generally explain the most important duties to which a fiduciary is held. Keep these duties in mind when considering who to name as fiduciary in your estate planning documents. Ideally, the fiduciary should act in accordance with the reasonable expectations of the Principal/Beneficiary. In the absence of knowledge of the reasonable expectations of the Principal/Beneficiary, the fiduciary should do only what is best for the Principal/Beneficiary. A good tip for a fiduciary to make sure he or she is acting in accordance with the Principal/Beneficiary’s reasonable expectations is to involve the Principal/Beneficiary in the decision making process as much as possible. Such action by the fiduciary will help the fiduciary to understand the goals and preferences of the Principal/Beneficiary. Understanding the goals and preferences of the Principal/Beneficiary can help reduce the likelihood that the fiduciary will perform an action that is not in accord with the reasonable expectations of the Principal/Beneficiary. However, reasonable expectations cannot always be determined. For example, if the Principal/Beneficiary is a minor or otherwise incapacitated, the individual may not be able to express their expectations. In such case, the fiduciary should act in the best interest of the Principal/Beneficiary. This means managing the property entrusted to the fiduciary in a way that benefits the Principal/Beneficiary. An example of a breach of this duty would be where the fiduciary attempts to loan or borrow money from the Principal/Beneficiary or to invest the Principal/Beneficiary’s funds into an investment where the fiduciary has an interest. Another duty of a fiduciary is to act in good faith. This is perhaps the easiest of the fiduciary duties to understand. Good faith can be defined as “honesty or sincerity of intention.” This duty is often associated with the duty of loyalty and requires that the fiduciary act honestly when acting on behalf of the Principal/Beneficiary. One way to think about this duty is that fiduciaries should conduct themselves in a way that they would if it were their own property, when acting on behalf of a Principal/Beneficiary. Acting in good faith can help absolve the fiduciary from certain issues of liability when acting on behalf of the Principal/Beneficiary. This can be important for fiduciaries. As mentioned above, the fiduciary should act in accord with the reasonable expectations of the Principal/Beneficiary and otherwise in the Principal/Beneficiary’s best interest. However, sometimes such action might also benefit the fiduciary. For example, if a Principal appoints a child as fiduciary agent under a power of attorney document which allows the fiduciary to make gifts to the Principal’s children, then the fiduciary may be acting in good faith when making gifts to himself or herself despite the fact that such a transaction would benefit the fiduciary. The key is that the gifting might be part of a pattern of prior gifting by the Principal. In such case, the fiduciary is acting in good faith because he or she is acting in accordance with the reasonable expectations of the Principal by continuing the Principal’s prior pattern of giving. This duty means that the fiduciary should act only within the scope of authority granted. This presumes that the fiduciary has read and understood the document that granted the fiduciary the authority to act on behalf of the Principal/Beneficiary. Being appointed as fiduciary does not imply complete authority to act on behalf of the Principal/Beneficiary. For example, Pennsylvania guardianship law requires that a guardian be appointed only under the least restrictive means possible. A guardian could be appointed for limited reasons while allowing the Principal/Beneficiary to maintain autonomy as to other areas of their life. Thus, it is important for the fiduciary to read and understand the scope of his or her authority. Further example of this duty, under Pennsylvania power of attorney laws, a general power of attorney document will not authorize a fiduciary agent to do certain things unless the power is specifically included in the power of attorney document. One such power is unlimited gifting. This power can be a useful tool for estate planning and asset preservation strategies. However, unless the power of attorney document specifically grants this authority to the fiduciary, the fiduciary will not be able to complete such gifting without violating this duty. 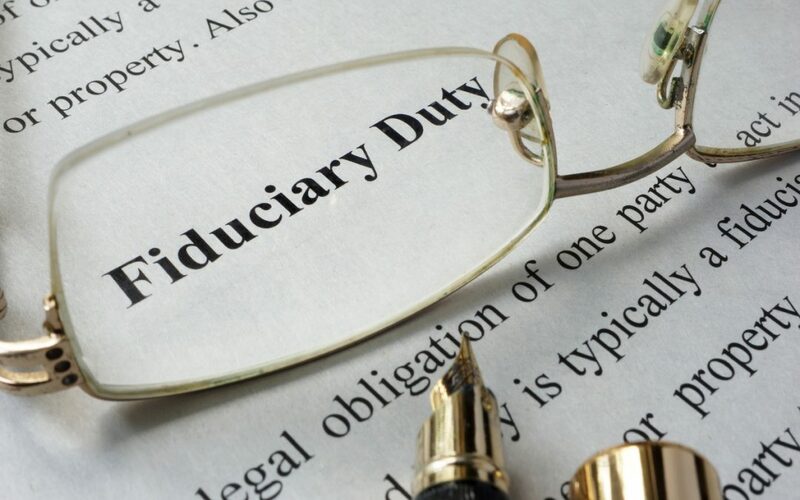 While this article does not attempt to be an exhaustive list of fiduciary duties, it is intended to be a starting point for those who are currently fiduciaries or may be fiduciaries in the future. A failure to follow duties such as those described above could lead to the fiduciary’s removal and potential personal liability for transactions that occurred while the fiduciary was managing the property of the Principal/Beneficiary. If you have been appointed fiduciary of another’s property and have questions or need help understanding whether or not you have fiduciary responsibility, you should contact an experienced estate planning attorney.